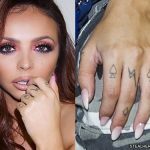 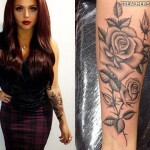 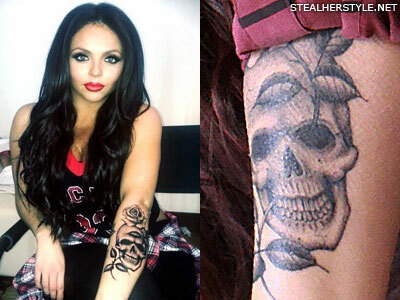 Jesy Nelson got a tattoo of a skull and rose from artist Oliver Macintosh at Frith Street Tattoo in January 2014. 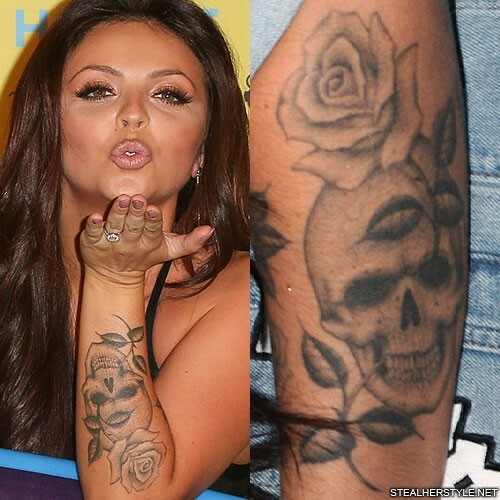 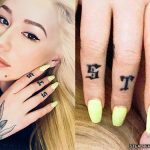 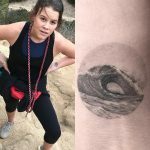 The tattoo is on the outside of her left forearm, next to her previous rose tattoo which she got from the same artist only a month earlier. 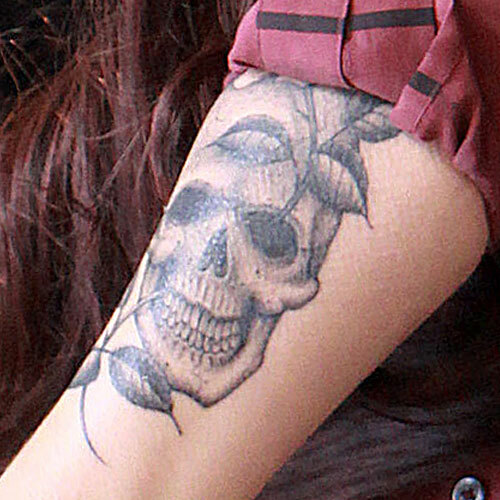 A rose stem goes through the skull’s eye socket and out the mouth.